On a beautiful, warm spring morning, Perri Freeman and her guide, Lou MacKenzie, have set up a blind and put out the decoys. Perri is calm, but the adrenaline is building up inside her. It is Youth Day in Maryland and the turkeys are gobbling their heads off, something every hunter dreams of. 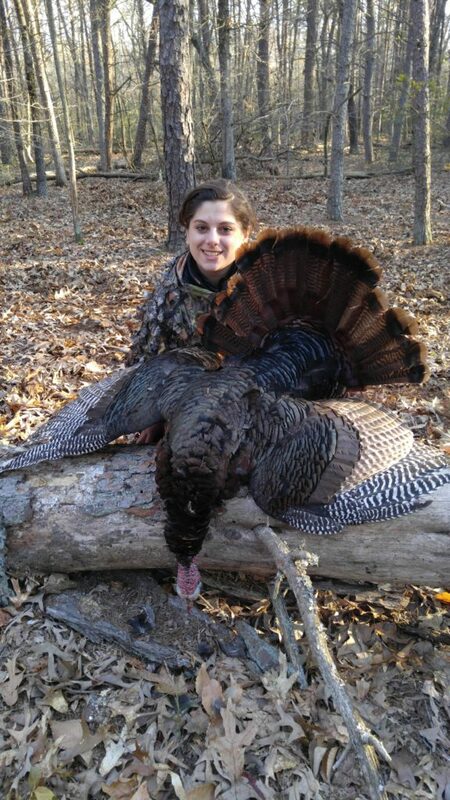 This is the story of a young lady’s first turkey hunt, a hunt she’ll never forget. As daylight breaks on a farm in Caroline County, Maryland, a tom is strutting his way into the sweet sound of Lou’s call, ready to meet his new girlfriend. Little did Perri and Lou know that they were about to get a show. As the longbeard strutted closer, a group of 5 or 6 jakes came running in and chased him off. With the young, cocky jakes feeling high on their victory, they decided to beat-up Lou’s decoy. Perri and Lou sat quietly, patiently waiting for one of the turkeys to separate from the flock. Suddenly, one of the young birds decides to walk off to the side, just far enough that no other bird would get shot. “Shoot him now!”, Lou quietly exclaimed! BOOM! The young hunter has just killed her first turkey! Perri, who has never shot a turkey before now, is filled with energy and can’t stop laughing. This is what turkey hunting dreams are made of! In the little town of Henderson, Maryland, there is a turkey hunting secret that is known to only a few consistently successful hunters. Schrader’s Outdoors is a family-owned hunting outfitter, made up of thousands of acres of prime hunting land. They guide hunts for whitetail deer, dove, raccoons, pheasant, ducks, geese, and Eastern turkeys! It can be very difficult to hunt turkeys on public land. There are a large number of people out in the woods, which results in a high number of accidents, less successful hunts and call-shy turkeys. 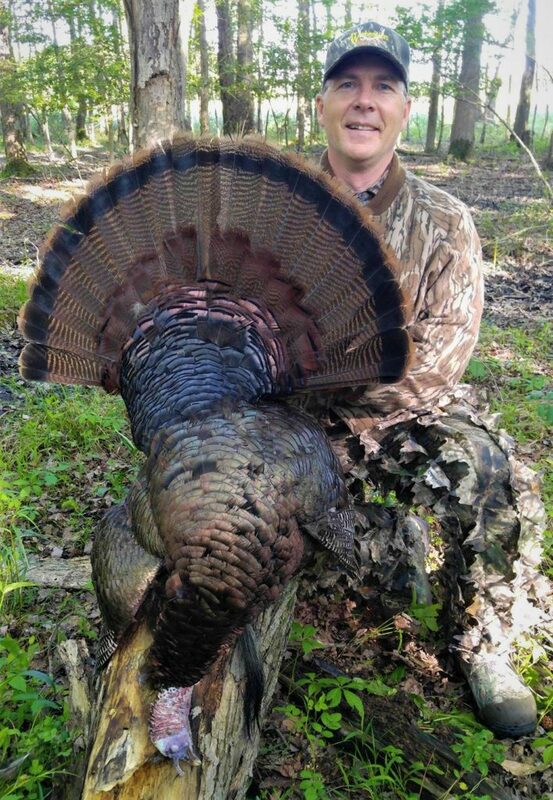 There are many amazing birds taken on Schrader’s Outdoors properties each year. Some customers are repeats from previous years, others are new customers. The guides at Schrader’s are extremely professional and care about their clients. No matter if you are a youth or an adult, they will do their best to help you punch that tag. Even if you don’t punch a tag, you will have an amazing story to tell. Punching a tag is the icing on the cake, compared to the experience you can have. The guides and staff at Schrader’s Outdoors want you to have the best hunting experience you can. Schrader’s Outdoors even offers lodging in the beautiful 11-bedroom manor house at Schrader’s Bridgetown Manor. They offer turkey hunts with a shotgun or a bow. If you want to have the best spring turkey hunting experience you can have, call Schrader’s Outdoors today and book your 2017 hunt before space runs out! 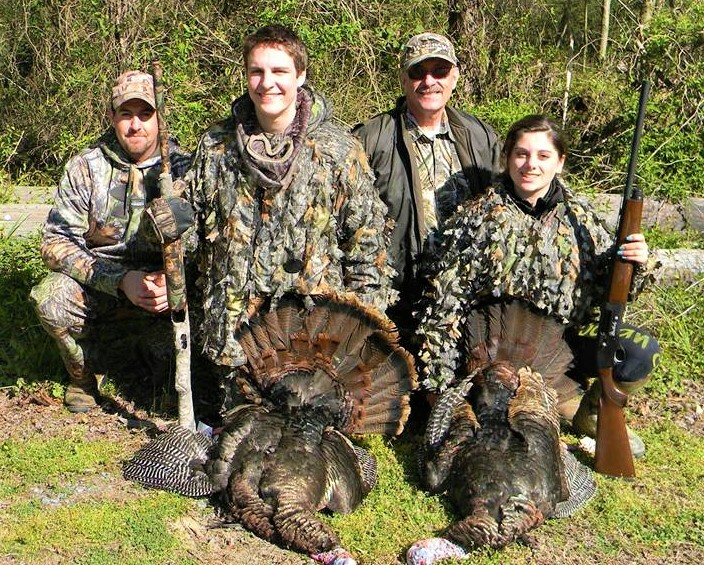 Maryland’s spring turkey season runs from April 18th to May 23rd, 2017, and the Youth Hunt days are April 15th and 16th, 2017. If you want to know more about Schrader’s Outdoors or Schrader’s Bridgetown Manor, check them out on the web, Facebook, Instagram, and Twitter!